A modern take on the classic rail consolette mount. The A.T.L.A.S. Arch offers infinite tom positioning and solid tom mounting with enhanced sustain and resonance in each drum. The Arch easily mounts to your bass drum by replacing two lugs with two included A.T.L.A.S. Mounts; no drilling required. Utilizing the revolutionary A.T.L.A.S. 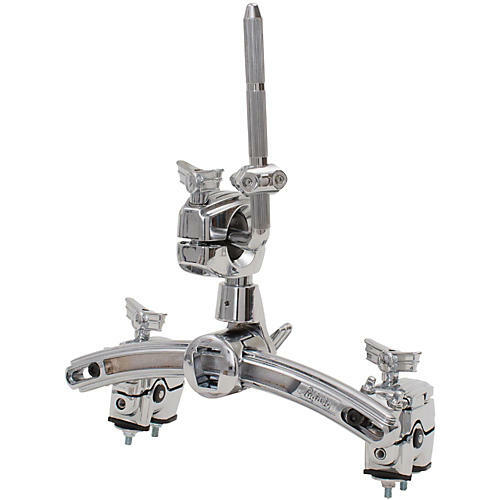 mount, the rail and sliding tom mounting arm are totally isolated from the shell, ensuring the tone of each individual drum without "cross-talk" when played together.